Come meet us next weekend (April 30th to May 1st) during the Rue89 Exhibition. Users of the Raisin application and subscribers of our Newsletter will be offered the poster above. The most symbolic labels of the natural movement are there, comprised of avant-garde winemakers! And for those who would also like to help us make RAISIN known, posters and postcards bearing our logo’s colors will be available. 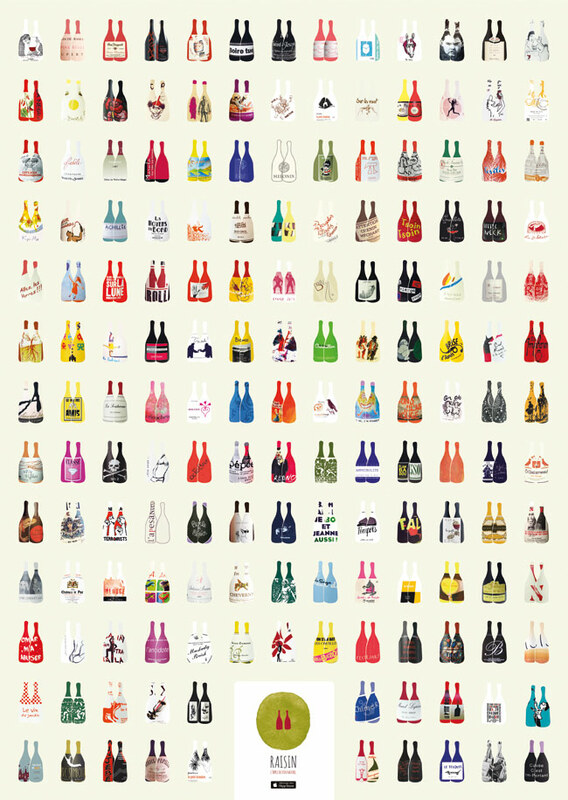 for people who live far, yeah, sorry, it is in Paris… But isn’t it the best reason to come over: wine + free posters?